Last night the Wonder Woman movie took home a SAG award and one more reason to expect an Oscar. The Patty Smith directed Wonder Woman was a blockbuster hit last year and Warner Bros is committed to getting it an Oscar. The flick has already gotten 14 wins and 26 nominations including AFI Award for Movie of the Year and an Art Directors Guild award for Excellence in Production Design Award to Aline Bonetto. Last night the movie added one more notch in its awards belt. The Screen Actors Guild Awards (also known as SAG Awards) are awards given by the Screen Actors Guild‐American Federation of Television and Radio Artists (SAG-AFTRA) to recognize outstanding performances in film and prime time television. The award recognizes the work of stunt performers and coordinators. It was first handed out at the 14th Screen Actors Guild Awards in 2007. The SAG Awards were presented on January 21, 2018, at the Shrine Auditorium in Los Angeles, California. Wonder Woman beat out Baby Driver, Logan, Dunkirk, and War for the Planet of the Apes for the award. Here's the massive list of stunt performers that made the movie possible. It takes a small-army of stunt performers to bring a blockbuster action movie to the screen. For example, there were at least four Wonder Woman stunt doubles. 26-year-old Caitlin Dechelle (Fast and Furious 7, Supah Ninjas, Bones, Agents of Shield, John Carter & Percy Jackson – Sea of Monsters) was Gal Gadot's lead stunt double, but Diana Correia, Christiaan Schodel, and Alicia Vela-Bailey also did stunts as the Amazonian princess. Ryan Watson is the fight coordinator for Wonder Woman. The last superhero movie to win a stunt SAG award was The Dark Knight back in 2008. Last year Hacksaw Ridge beat out comic book movie Captain America: Civil War and Doctor Strange along with Jason Bourne and Nocturnal Animals. The future is looking bright for Wonder Woman and it rightfully took home another honor. Could an Oscar be on the horizon? 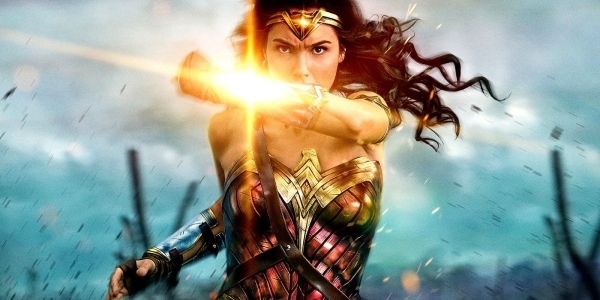 Do you think Wonder Woman deserves the SAG award?